To have a wedding that’s “so Asheville,” the most important thing you can do is...be you! Asheville is home to a rich tapestry of personalities, makers, and settings that will make for a uniquely you–and uniquely Asheville–wedding experience. 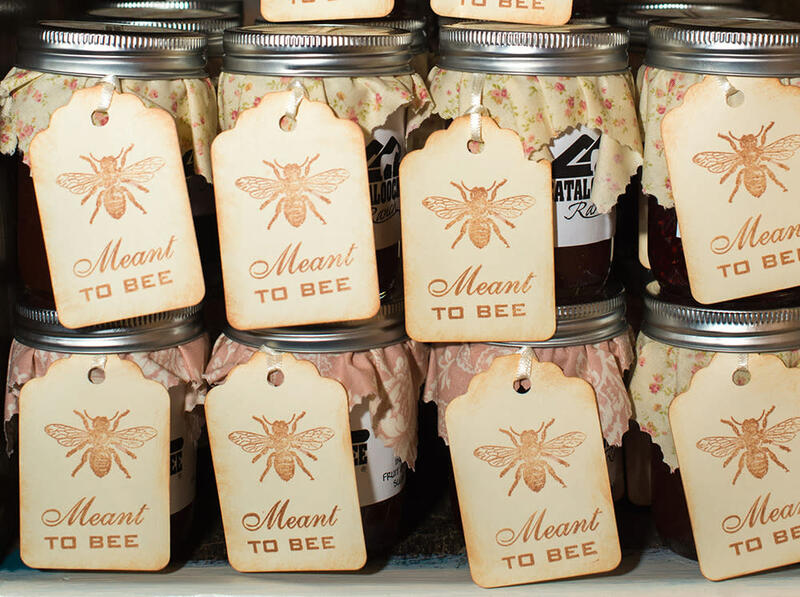 To help you inject a sense of our destination into your big day, tap into local craft brews and artisan favors, use the Blue Ridge Mountains as your backdrop, or incorporate funky transportation on a LaZoom bus. We’ve also got homegrown entertainment by the bushel with our music scene that rivals bigger cities thanks in part to nationally-touring local bands like Steep Canyon Rangers. Since your options are endless to make your wedding “so Asheville,” we’ve rounded up 10 ideas that will make your celebration distinctly Ashevillian. Our collection of venues, restaurants, breweries, and favors will make all your guests fall in love with America’s Happiest City. And to best navigate Asheville’s hotel options for your guests, contact the Explore Asheville team for help selecting and booking hotel rooms for your wedding guests. Our free service will save you lots of time so you can dive into the details that will make your wedding “so Asheville”-- and so you! The Appalachian Mountains, including the famous Blue Ridge Mountains, surround downtown Asheville. That means you can head in any direction and find a venue with spectacular views, like at mountaintop The Crest Center or a handful of nearby farms that also have sweeping views of the surrounding peaks. Or, stay right downtown and have mountains as your backdrop during your outdoor ceremony at Biltmore or The Omni Grove Park Inn. Whatever you choose, you can incorporate our mountain lifestyle into your wedding day with organic flowers from Lady Luck Flower Farm or The Never Ending Flower Farm and serve local specialties like mountain trout from Corner Kitchen or local bison prepared by Colorful Palate. Bonus: take our mountain lifestyle home when you create your bridal registry through New Morning Gallery, the nation’s largest craft gallery showcasing artwork, furniture and kitchenware. A historic theater. Stylish modern hotels. Authentic urban venues. Take your pick and infuse Asheville’s vibrant downtown atmosphere into your celebration at The Altamont Theatre, The Century Room, or castle-like Homewood. Couples can also reserve AC Hotel’s rooftop event space. Up the fun factor and zip through our streets in style on LaZoom’s big purple bus, a pubcycle, or a trolley; each can be chartered for private tours or group transportation. Our beer fame is a big reason more than 10 million visitors come to Asheville each year, so you’ll want to incorporate our delicious brews into your wedding weekend. Opt to have your rehearsal, reception, or goodbye brunch at Highland Brewing or Catawba Brewing Co.’s South Slope location, or order kegs from our 30+ area breweries. 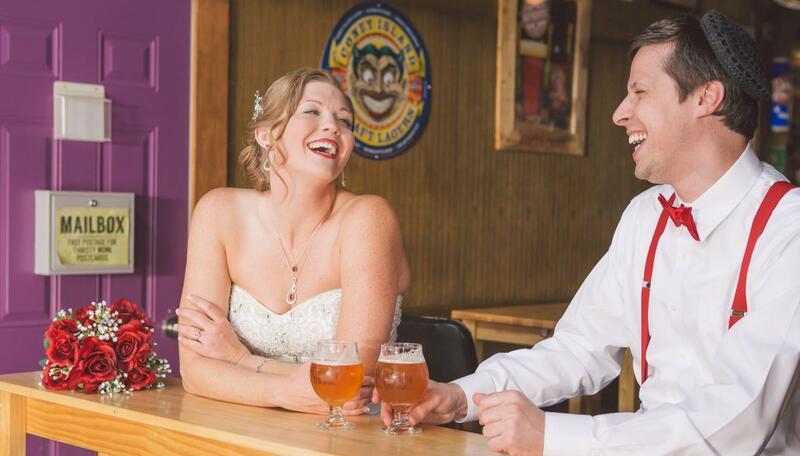 Elopers or small parties can book a brewery tour wedding with Elope Asheville, where you’ll get married at your first stop then keep the party going at several more breweries. Asheville Brewery Tours can accommodate up to 150 guests on their private tours, making it perfect for a group excursion! Many breweries offer free daily tours too. Need kegs? 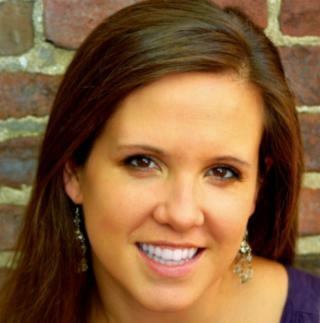 Look to beverage providers Winehaus and Asheville Beverage for great selections and friendly service. Asheville doesn’t just have a food scene; we have a bountiful Foodtopia to fulfill your wedding weekend’s dining needs. James Beard-recognized chefs at Rhubarb and Cucina 24 have private dining areas and utilize local produce from dozens of nearby farms. Several caterers also emphasize their farm-to-table commitment, including Corner Kitchen and 67 Biltmore. Stay on theme and rent gorgeous farm tables from Classic Event Rentals; their farm collection includes barn wood table tops and whiskey barrel cocktail tables. There’s no shortage of truly remarkable and creative vendors in Asheville. Local chocolates, honeys, and Lusty Monk beer mustards make for tasty favors. Or, shop the River Arts District and Lexington Avenue, both filled with jewelry, crafts, and more, perfect for your bridal party and thank-you gifts. But first, send out letterpress wedding invitations by 7 Ton Co. or Macon York so your guests receive a piece of Asheville right from the start. Homegrown entertainment will give your wedding that extra punch of Asheville pizazz during cocktail hour or at your reception. Chose from cover bands, folk, bluegrass, rock–we’ve got talent from every genre as more and more musicians opt to call Asheville home and as our music scene continues to gain national recognition. Hire dancers from Studio Zahiya to perform hip hop, hula, or belly dancing, or rent a photo booth from Asheville Strike a Pose or Photo Strip Asheville that offers rustic-chic vintage camper setting for photos. Capture your special day via fine art through Asheville Event Paintings, or organize an eclectic bar crawl as your after-party. Want a special treat for your bridal party? Book a salt cave relaxation session. Or, go vintage with rentals from East West Vintage Rentals and get everyone out of their seats with 1920s style band Fly By Night Rounders. 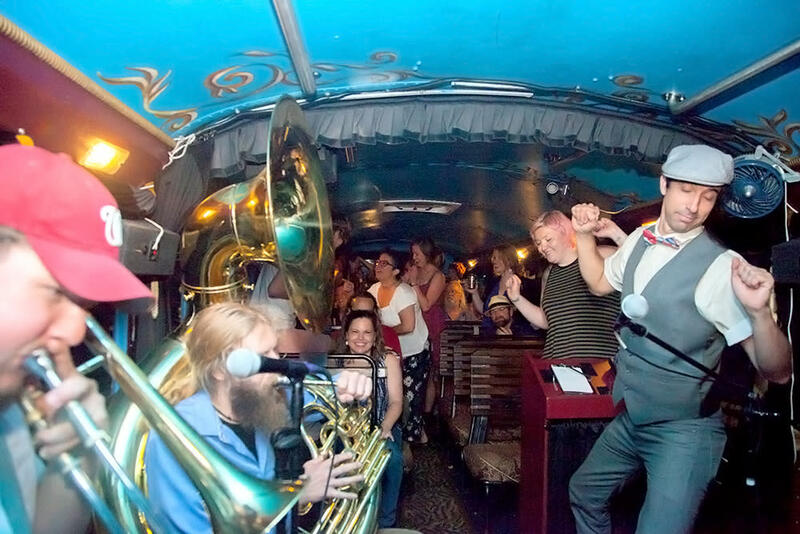 Whatever you do, incorporate a little Asheville funkiness into your big weekend. For early arrivers, consider booking a foraging tour that prepares dinner from your finds. Crowd-pleasing brewery, music and comedy tours will bring the laughs, and outdoor activities and tours like water sports, ziplining or hiking excursions are sure to bond your bridal parties and families. We also have historic, haunted, culinary, and art tours that show off the best of Asheville and are guaranteed crowd pleasers! 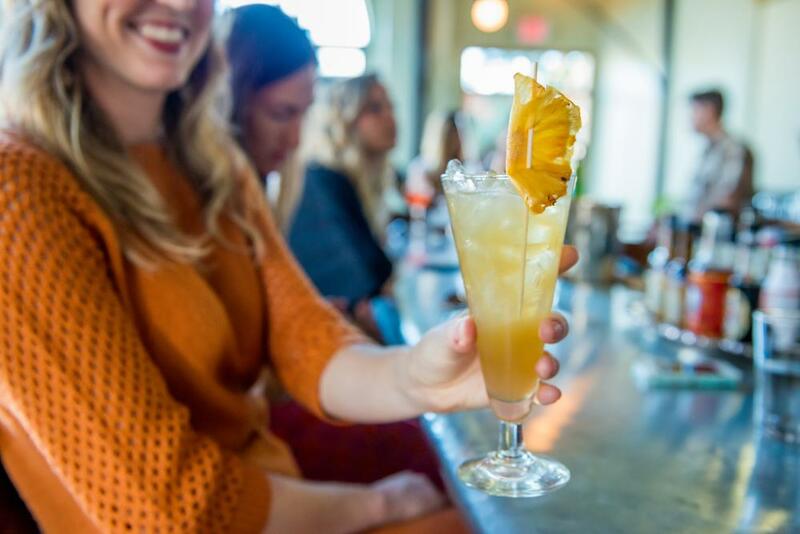 Although people associate Asheville most readily with beer, we have amazing mixologists at hotspots like Sovereign Remedies, a new mezcal bar called Mountain Madre, and even homegrown saké at Ben’s Tune-Up. Pre- or post-rehearsal dinner, toast to your next chapter at a cidery or rooftop spots like Skybar, Top of the Monk, or The Montford. You’ll see stickers throughout downtown Asheville with this phrase–look for the hearts. These independent businesses are the lifeblood of our city and include an abundance of unique trades (Cape store! Yoga studios! Metaphysical supply store!). You can also wow your guests with special discounts at these independent locales by purchasing 50 or more Go Local cards at a discounted rate through the CVB. Visit ashevillegrown.com for the complete directory. There you have it. 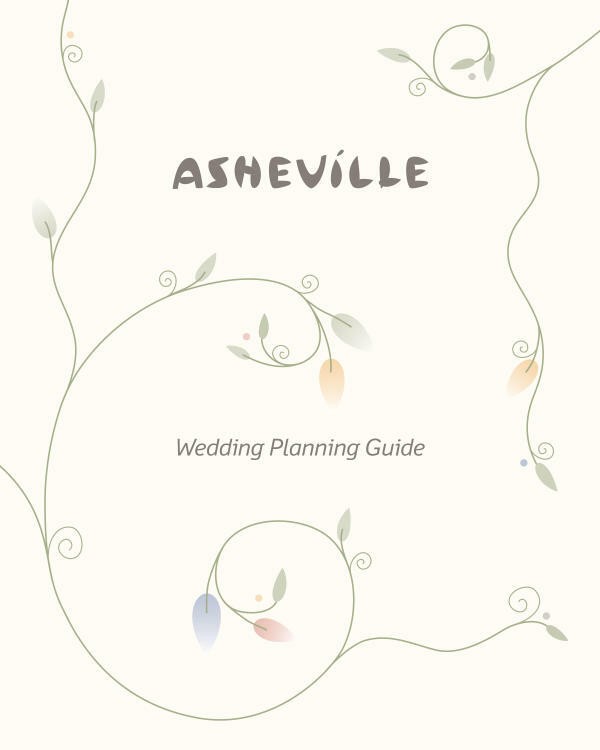 10 ways to make your wedding “so Asheville” by infusing our distinctive local talent, produce, and topography into your Asheville wedding weekend.